Have you been searching Google for the best and most reputed provider of roof repairs in Poole? Well, if so, you need to look no further than Pro Roofing, your local specialists for commercial, industrial or residential general maintenance and roof repairs. For unparalleled Poole roof repairs at an unmatched, ultra-competitive price, get in touch with our distinguished team of experts today by calling us on 01202 518 763. When it comes to your roof, it certainly pays to entrust the experts. Looking for an unparalleled roof repairs Poole service? No matter what your roofing issue is or the complexity of the project, thanks to our many years of experience in the roofing trade, you can be entirely confident that we will offer the best solution for your problem. 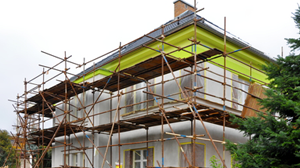 With such lengthy experience, we proudly offer the most comprehensive range of repair and refurbishment services for both residential, industrial and commercial properties available on the market. Upon registering your interest in our roof repairs in Poole, our highly knowledgeable team will conduct a structural survey of your property in order to provide you with the best solution going forward. Fortunately, a significant majority of roofing damage can be repaired so don’t fret. However, if you have noticed roofing damage or are concerned the recent bad weather has affected your roof, it would be recommended to contact us immediately to avoid worsening the condition of your roof. Why should you choose our outstanding roof repairs Poole facility? There are many reasons why you’re sure to regret not choosing our distinguished roof repairs Poole. With over 30 years’ experience in roofing and a wealth of all-encompassing trade knowledge under our belts, when it comes to Poole roof repairs, we are far superior compared to other roofing companies in Poole. You have nothing to lose by giving us a call as we proudly offer a free no-obligation quotation and consultation service as well as a minimum 10-year guarantee on all our works. 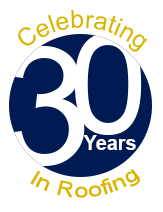 Throughout the last three decades, we have built up a stellar reputation for high-quality workmanship, reliability and excellent customer service. We work tirelessly to ensure that each and every service is delivered in a courteous, professional and prompt manner that is worthy of our distinguished reputation as the best provider of roof repairs Poole. So, whatever your requirements, needs or budget, please do not be hesitant about getting in touch with our notable team today. If you have any questions or queries about any aspect of our specific facilities or for general inquiries, give us a call and we’ll be more than happy to talk you through anything that is troubling you. 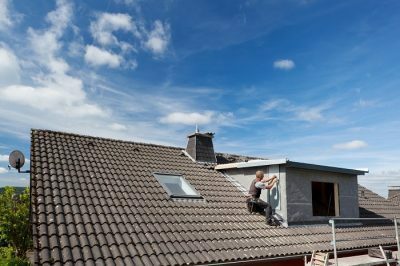 How can you and your property benefit from our roof repairs in Poole? It is clear to see from the above list that there are many great benefits that you can enjoy when choosing Pro Roofing today. In fact, you only have to look at what our clients say about us to understand why we are the number one provider of high-quality roof repairs in Poole. For an unparalleled Poole roof repairs service that is second-to-none across the South Coast of England at an unrivalled, super-competitive price, Pro Roofing is the company you have been searching for. Are you ready to get in contact with our distinguished team of best roofing experts in Poole, Bournemouth and the surrounding areas, to discuss your required roof repairs Poole? We’ll be more than happy to share our knowledge and expertise with you as well as recommending the best and most viable service for your specific needs, requirements and desired objectives. So, what are you waiting for? Register your interest in our roof repairs Poole facility by calling us on 01202 518 763 by emailing us at office@pro-roofing.co.uk or by filling out the contact form on our website. Regardless of how you contact us, we’ll always endeavour to get back to you as swiftly as we can.